Or does it mean to stay quiet through your hard times ? To passively endure ? 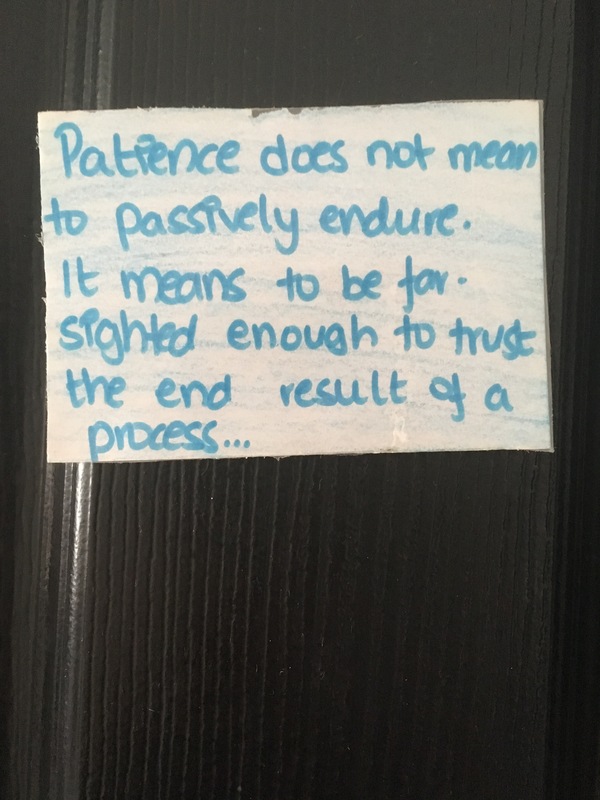 Patience is faith. Faith that no matter the outcome, you will be accepting of it. Patience is understanding the grand scheme of things, instead of letting that single moment in time overpower all else. Patience is faith and expectation that no matter what, everything that happens, happens for a reason; for the best reason. Patience is looking at the thorn, and seeing the rose. Looking at the night and seeing the dawn.